#WednesdayWisdom in MRM’s Daily Bite includes news from CAKE, Cali Group and NEC Corporation of America, GreenRiver and Hope for the Day, Impossible Burger and Walk-On’s Enterprises. A great debate in the restaurant community this time of year is whether or not to open Christmas Day. The experts at CAKE passed along some interesting statistics concerning December restaurant revenue, specifically Christmas day. In all years, restaurants saw relatively normal ticket size and sales on December 24, an increase on December 25, and a fall back to normalcy on December 26. Cali Group and NEC Corporation of America unveiled new AI-enabled self-ordering kiosks at CaliBurger, Cali Group’s restaurant operating division. The kiosks use NEC’s NeoFace® facial recognition software to identify registered customers and pull up their loyalty accounts and order preferences. The kiosk pilot program is now at CaliBurger’s Pasadena location, where the Quick Serve Restaurant chain showcases new technologies developed by its parent company. If customers are pleased with the new ordering experience, the kiosks will be rolled out to CaliBurger’s global locations next year. Also in 2018, the platform will be used to allow customers to pay using their faces. As shown in the demo video above customers will have the option of immediately activating their loyalty accounts as they approach the kiosks without needing to swipe a card or type in identifying information. The loyalty account shows a customer’s favorite historical meal packages, enabling the customer to complete the ordering transaction in a matter of seconds. In addition to using facial recognition to enhance and improve the customer experience in restaurants, Cali Group is pioneering: AI and robotics to automate kitchen equipment and monitor the dining area; social gaming for entertainment in the dining area; and infrastructure for autonomous vehicles to deliver fresh food. Cali Group worked with global technology firm NEC Corporation of America to integrate NEC’s facial recognition technology into its loyalty program. In 2017, the U.S. National Institute of Standards and Technology ranked NEC’s platform the most accurate in the world for one-to-many searching. Photos and video courtesy of Cali Group. On Sunday, Jan. 21, six of Chicago’s most well-respected chefs and mixologists come together at GreenRiver (259 E. Erie St., 18th floor) to raise money and awareness for mental health. The benefit dinner, entitled 121 Plates, symbolizes the 121 Americans who complete suicide each day, and gives participating chefs a platform to break the silence about suicide prevention in the hospitality industry and beyond. The evening consists of a one-time-only, six-course dinner with optional beverage pairings prepared by: Brian Ahern (Boeufhaus), Aaron Lirette (GreenRiver), Ryan McCaskey (Acadia), Ryan Pfeiffer (Blackbird), Andrew Zimmerman (Sepia/Proxi), and Laura Kelton (Sportsman’s Club). Seatings for the benefit dinner begin at 5 p.m. with the last seating taken at 9 p.m. Tickets are priced at $121 per person, with an optional wine pairing for an additional $48 per person. Sportsman’s Club offers an a la carte cocktail selection at the GreenRiver bar throughout the evening. Tickets can be purchased online at 121plates.org. All the funds from the dinner are being donated directly to Sip of Hope, the world’s first coffee shop where 100 percent of the proceeds support proactive suicide prevention and mental health education. Sip of Hope is a project between Hope for the Day and Dark Matter coffee, and is scheduled to open in Logan Square this Spring. GreenRiver is the Michelin-starred restaurant by Danny Meyer’s Union Square Hospitality Group located in Chicago’s Streeterville neighborhood. With one of the city’s largest outdoor terraces, GreenRiver boasts sweeping views of Lake Michigan and the city’s downtown skyline. Native Chicagoan and Executive Chef Aaron Lirette’s menu is solidly rooted in Midwestern mentality, paying tribute to Chicago’s culinary past and present, with nods to modern gastronomy technique. GreenRiver’s nationally-recognized bar program is led by Head Bartender Amit Gilad, a transplant from Israel, who incorporates his diverse background into the 22-drink cocktail menu. The ingredient-driven menu is organized to reflect guests’ ‘mood of the moment’ with the categories Refresh, Contemplate, Indulge, and Savor. Barrel-aged cocktails round out the drink menu, which is complemented by an all-American wine list and craft beers on tap, predominantly from Chicago breweries. GreenRiver also offers a variety of versatile dining and event spaces including Gallery at GreenRiver and Annex. 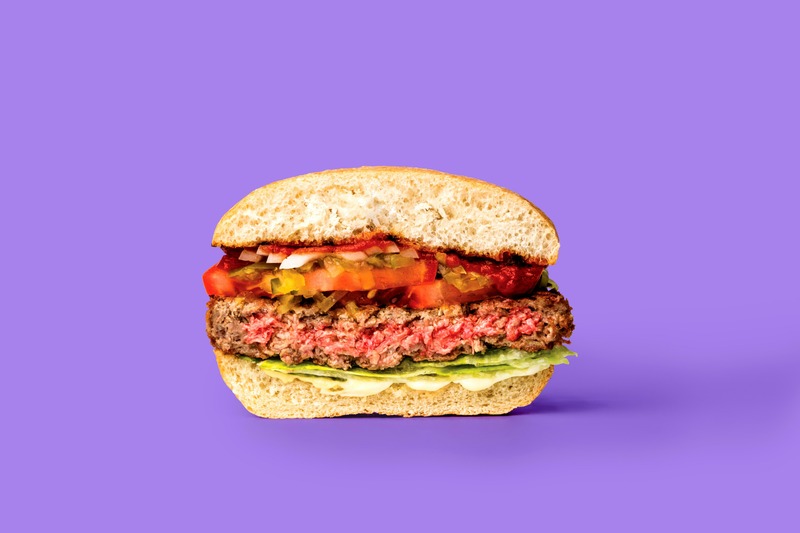 Impossible Foods launched a new sales channel with DOT Foods, America’s largest food redistributor that gives them a national sales network and allows more restaurateurs to order the award-winning Impossible Burger. Mt. Sterling, Ill.- based DOT has nine distribution centers serving all 50 states, with deliveries of the Impossible Burger starting January 2, 2018 nationwide. Launched in 2016 in a handful of restaurants in New York and California, the Impossible Burger is now available in nearly 400 restaurants from Hawaii to Maine. Demand heated up in December when Impossible Foods launched its #DemandImpossible campaign, with about 8,000 consumers asking local restaurants to start serving the plant-based burger. DOT’s nationwide network will make it easier for restaurants — from high-volume establishments and regional chains to mom-and-pop diners — to order and serve the Impossible Burger in response to local demand. The Impossible Burger is the only plant-based burger featured in all of America’s most beloved “better burger” concepts Bareburger, Umami Burger, Hopdoddy, The Counter, Fatburger, Gott’s and B Spot, owned by Chef Michael Symon. Adding the Impossible Burger to the menu has increased guest headcount by up to 13 percent compared to restaurants in the same chain that do not have the burger. In addition, adding the Impossible Burger to a restaurant’s menu has increased gross sales by up to 30 percent year-over-year compared to restaurants in the same chain that do not have the burger. The Impossible Burger has increased repeat customer visits by up to 30 percent. After the Oakland plant is fully ramped up, Impossible Foods plans to launch retail sales. The company is also developing additional plant-based meat and dairy products. Walk-On’s Enterprises executed an agreement with Wayne Stabiler Companies allowing them to acquire Walk-On’s Catering. Day-to-day operations will remain the same, so customers can continue to order their favorite menu items for holiday events. This agreement continues Walk-On’s Enterprises’ goal of making Walk-On’s Bistreaux & Bar’s franchising and growth their singular focus. The company also sold their previous concepts – The Roux House and Happy’s Irish Pub – in 2014 and 2016, which started the process of focusing on Walk-On’s Bistreaux & Bar as their sole entity.